Roger L. Canada, age 61, was born November 3, 1957 in Crestline, Ohio to Roxie Watson and LeRoy Canada. He passed away peacefully on Monday, January 14, 2019. In 2010, Roger married the love of his life Keeanna Gamble. He worked as an in-home care nurse, displaying his traits of patience, love and kindness. Roger was a person of ambition, making him a hard-working and dedicated man. He was seen happiest when he was among family, and he enjoyed the simplicity of life. 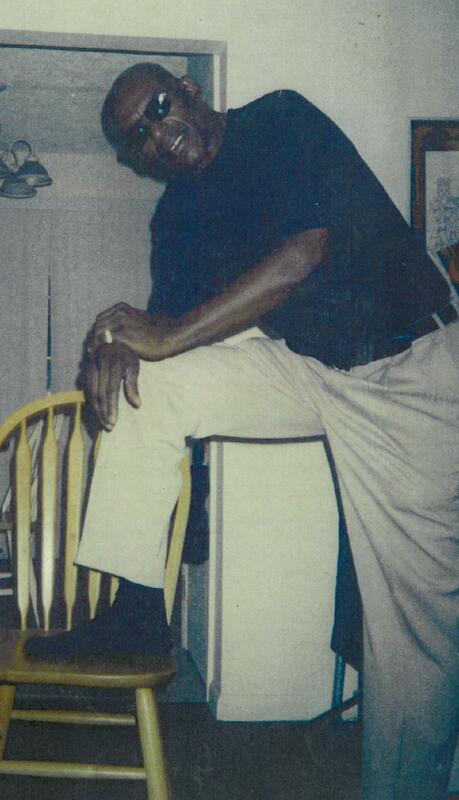 He will be reuniting with his parents Roxie Watson and LeRoy Canada, siblings Beverly and Charles Canada. He will live on through wife of 9 years Keeanna Gamble, siblings Cathy Eldridge, Tiny (Henry) Hoffman, Anthony Canada and Lenzie Canada of San Antonio, Texas, Will and Nancy Canada of Phoenix, Arizona, Gary (Robin) Almanson of Crestline, OH and Tracy Almanson of Columbus, Ohio; children, Roger Canada and Brianna Canada, grandson Roger Canada, and great-grandson Roger Canada, also a host of nieces, nephews, aunts, uncles, cousins, and other relatives and friends. Roger will be missed by the hearts that he has touched and changed. Visitation 10:00am and Funeral 11:00am Thursday, January 24, 2019 at MARLAN J. GARY FUNERAL HOME, THE CHAPEL OF PEACE NORTH, 2500 Cleveland Ave.
Rest in peace my friend missing you already to the family I’m sorry for your loss ! Our deepest sympathy to the family on your loss. May God give you the peace and comfort that you seek. We offer you our thoughts and prayers. PRAYING for the family of Roger Canada. May God keep his arms, around his love ones and comfort them during this time that they need him most. Roger you will be deeply miss by me. And you will always carry a special place in my ❤. Karen Colvin..
A true friend, when I think of my daughter, I too think of Karen and Cricket, rest my friend. We will miss out dad, dad in law, grandpa, and great grandpa too. Sending healing prayers and comforting hugs from the Canada-McCracken family. To the Canada family. My heart is with you and your family at this time of your loss. There is comfort in knowing God’s promises about the resurrection hope. (Acts 24:15) and (John 5:28,29) In the past God has resurrected humans and He is eager to do it again because He hates death. (Mark 5:41-43) I would like to discuss more with you about God’s promises. To learn more about God’s promises go to JW.ORG. There are online Bible lessons featured and more. Love Your Neighbor Irish J. Richardson. Roger I will truly miss seeing you in church Praising God. And when we did street Ministry to hear you get on the Mic on 5th Avenue and share what you been thru to what God had and was doing for you had truly blessed my soul. That is an awesome Memory I will have to see you witnessing to many of people on the streets to tell them the Goodness of Jesus. To hear the Testimony one after another was very encouraging to me. Rest on my brother. Praying strength to your family.